We got quite a lot of mileage out of our previous discussion, so I thought I'd do a follow up. I also ask that you vote in the poll to guess what I picked, then state what you'll pick. If your pick is not in the poll, tell us about it. After you vote in the poll, please post your choices! Last edited by 57K; 04-08-2019 at 09:10 PM. I went with the Ruger 44mag, although the .41 would probably be just as effective. I already own and reload for a 44 so I'm a bit biased in that direction. Yissnakk and Lomax like this. I went with the 4" Ruger Redhawk in 44 magnum. It was the only one on the list that I would use in that situation. BUT, price being no object, I would try to find a 6" Dan Wesson 44 magnum of early 1990's vintage (44VH). I certainly miss the one I had. Yissnakk, 57K and Lomax like this. Hmm, I didn't know anyone had made a .460 Rowland revolver! 4" Ruger® Redhawk® in 41 Remington® Magnum for me. Glucks don't fit my hand no matter what some over the hill guitar player likes. Never been fond of .41 Mag or 10mm. Ain't fond of GP-100's, too chunky for my tastes. Like the Model 29 but I want more barrel. It's open carry in the woods and I like the balance of a 5 inch (preferably with a full underlug) better. Love Dan Wessons (own 2 .357's) but don't see the sense in getting one in some boutique round for serious work like being the last ditch woods gun. A 5" heavy barrel DW in .44mag or .45Colt would be just the ticket. 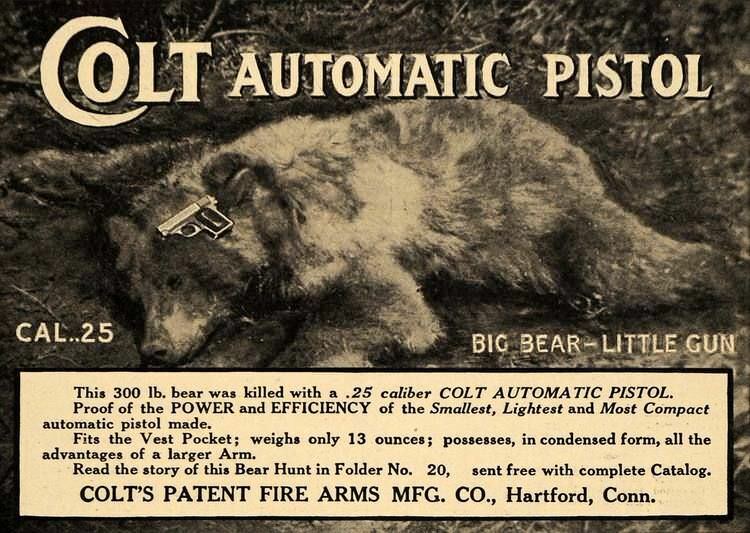 IF I had to go buy a pistol for the bear woods (where I live, I'm too far south for bears and too far north for gators so I don't have a reason to have one), I'd probably get a 5.5" Blackhawk in .44Mag or .45Colt. Been running single actions under stress shooting CAS since '94 and if I needed more than the 6 I'd have in it, I'm completely screwed anyhow. As it stands, the Smith Model 69 (L frame 5 shot .44 Mag) is looking intriguing as a woods gun alternative. It would be a handful with stout 240's or heavier but with 200's and Specials, should be quite tolerable. That being said, I ain't sold on the idea that ANY handgun is legit bear medicine. Yeah it'll work, but it's just more likely to be handy unlike a mid bore or heavier high power rifle or a good repeating shotgun loaded with slugs. A big bore PCC would work. If a 5 inch .44 Mag or hot rodded .45Colt is acceptable, then what about the same load out of a 16 or 20" barrel and more of them? My .45 Colt '94 Trapper cycles 300gr Corbons just fine and will hold 9 of them. According to my chrono, they are doing about 1450 at the muzzle, so that rifle is toting the equivalent of 9 rounds of the .45-55-300 cavalry load from the 1880's. (Remember the part about shooting CAS since the mid '90's? Running a lever gun at speed is part of it, too) That might be adequate bear medicine if the need arises. The big bore uppers on the AR platform would do, too. Ain't a whole lot in the woods that you can't take with a .458Socom or .50Beuwulf carbine loaded with solids and a couple spare mags. Last edited by jtg452; 04-09-2019 at 07:57 AM. Ultimately, ammo selection is more vital than the caliber. You want a heavyweight, hardcast semi-wadcutter bullet which will punch right through a Bear's thick hide and smash through bone without deforming, thus ensuring deep penetration. Don't mess around with JHPs, penetration is far more important than expansion. If you want a bigger hole, then use a larger caliber bullet. Personally, if it were me, then I would choose a 12 Gauge Shotgun. There are other dangerous animals in the woods than Bears, many of which are more easily/effectively dealt with using Shot rather than Slugs, so I like the versatility of a Shotgun when it comes to the woods. I'd have a variety of loads on my person ranging from Shot to Slugs to Flares, but if Bear was my biggest concern then it would be loaded to capacity with Brenneke Black Magic Magnum Slugs. I know that 12 Gauge Shotguns are larger and typically heavier than most Magnum Revolvers, but the Mossberg 590 Shockwave (which I happen to own) is much shorter in length and lighter in weight that your average Shotgun, yet still much more manageable than say a .500 S&W Magnum, so such would be my choice. Last edited by Tuco_Ramírez; 04-09-2019 at 10:43 AM. 57K, 45 Forever, TrucksNCoffee and 2 others like this. My choice is not on the poll list.... now that I have been shooting my new Ruger Alaskan 2.5 inch revolver in .454 Casull (150 rounds so far) I am confident I can put the bullets where they need to go. I am not shooting two inch groups but I can put multiple hits (4 out of 6 shots) into a paper plate consistently at 25 yards. If I continue to practice I'm sure I will get better. However, since big bears are kind of rare here in Florida I do not see a need for a Bearslayer but if that situation should suddenly change my Alaskan shooting .454 Casull will be my Bearslayer. 57K, Lomax and CJS3 like this.